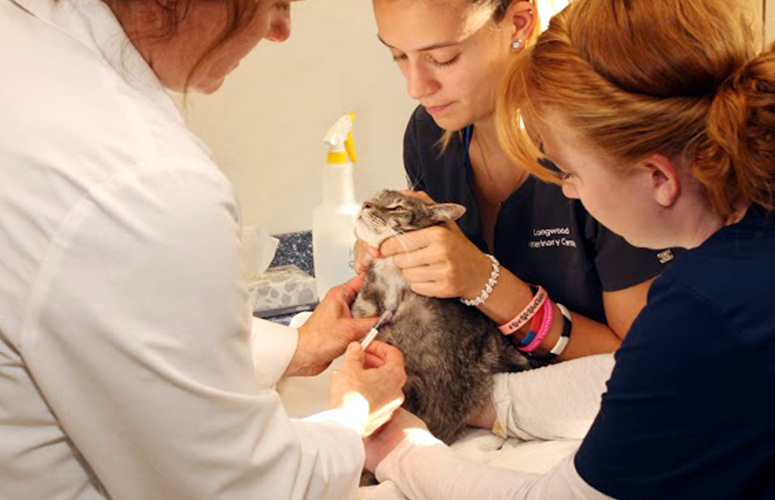 A complete physical examination and wellness discussion is the cornerstone of sound veterinary care. It is during Wellness visits where preventative care, observation of your pet, and careful consideration of your pet’s general well being are combined to determine your pet’s true state of health. During these visits you are encouraged to discuss with your veterinarian evidence of pain or anxiety in your pet and changes in their normal routine. Health screens such as complete blood count, blood chemistry analysis and imaging studies may be recommended. Vaccinations are an important and necessary part of preventative health care as they help prevent many serious and life threatening illnesses. Vaccination protocols are tailored to each animal based upon many factors including age, immune status, and exposure risk. Welcoming a new puppy or kitten into your home is both an exciting and challenging experience. 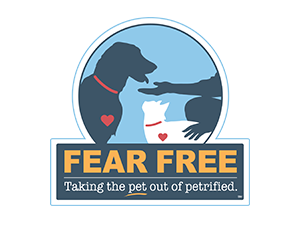 At Longwood Veterinary Center we work closely with new owners to ensure pets receive a healthy start. 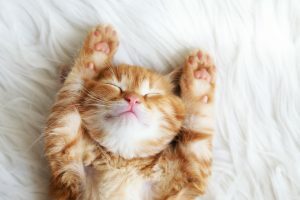 Young pets require frequent veterinary visits to accommodate vaccination and deworming schedules unique to their age group. These visits also provide ample opportunity to troubleshoot any behavioral issues and focus on lifelong training that will enrich and strengthen the bond you share with your pet. 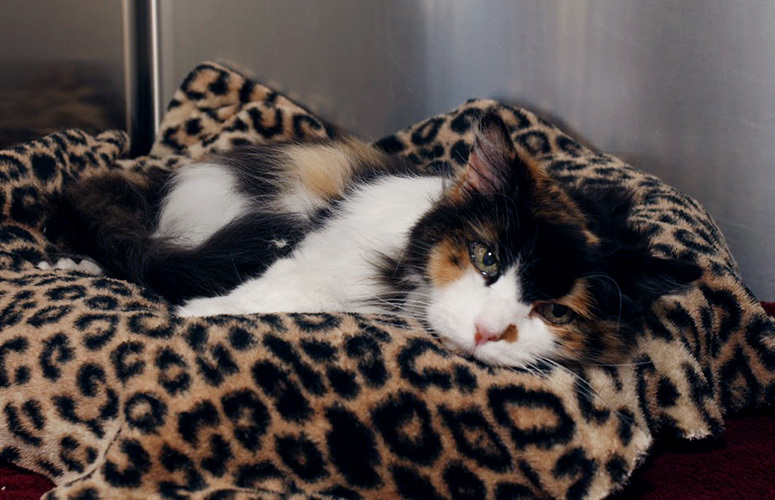 Regular health care is especially important for older pets. Diseases caught early are often more easily managed and may have better outcomes. 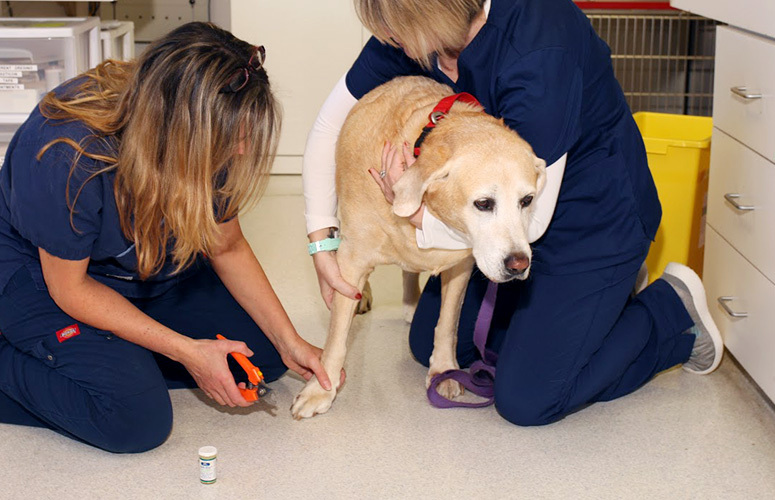 The veterinarians at Longwood Veterinary Center recommend bi-annual senior exams and blood work to better detect illness and assess any physical or behavioral changes your pet may be experiencing. Nutritional, medical and lifestyle changes are often required to maintain the general wellbeing of your pets as they age. Pocket pets benefit from regular health care too. Several of the veterinarians at Longwood Veterinary Center enjoy seeing pocket pets and are capable of providing basic exotic medical care and offering advice on husbandry. However, if your pocket pet has a critical emergency or illness requiring additional diagnostics, we may refer you to local veterinarians who are board certified in the practice of exotic animal medicine. A balanced diet is essential to your pet’s health. 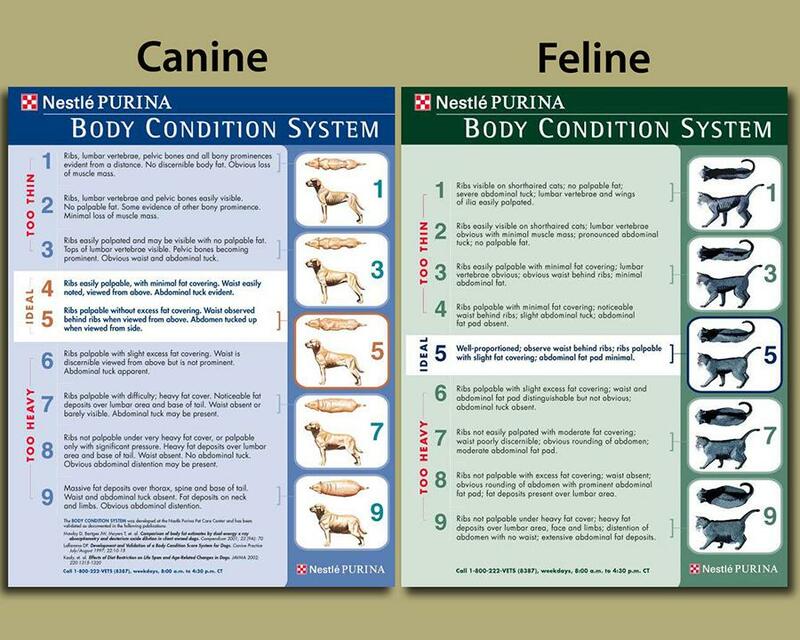 During the wellness exam, we will assess your pet’s weight and assign a body condition score (see table below). We will discuss the type and amount of food your pet consumes in a given day and suggest changes if necessary. Our hospital believes in the benefit of nutritional management of disease. We carry and prescribe prescription foods as part of a multi-pronged approach to disease treatment. Perceived behavioral issues are one of the most common reasons pets are relinquished to animal shelters. Dogs and cats, in general, wish to avoid conflict. Therefore, when behavioral problems occur it is not due to a desire in your pet to “be bad” but a lack of training, and failure of an owner to recognize a pet’s attempts at communication. Veterinary care is not just medical. At Longwood Veterinary Center we feel strongly one of our jobs is to recognize behavioral issues. We help owners receive appropriate intervention, either from a competent trainer that employs positive reinforcement training techniques or a board-certified veterinary specialist in animal behavior. We encourage you to discuss any behavior related concerns you have with us at each wellness appointment. At each wellness visit, your veterinarian will assess and grade your pet’s oral health. Signs of oral disease often include heavy tartar and calculus accumulation, gum recession, infection, and loose, painful teeth. Many pets, especially senior dogs and cats have some or all of these signs. If left untreated, dental disease may have deleterious effects on the heart, liver, and kidneys. Treatment of dental disease includes home care such as tooth brushing but begins with professional evaluation and thorough cleaning under anesthesia. During this procedure, teeth are probed and examined and digital radiographs taken to determine the extent of disease below the gum line. Longwood Veterinary Center offers a year-round dental promotion to encourage pet owners to pursue dental care. This includes a 10% discount on services upon timely follow up on a dental care recommendations. Although we are not affiliated with any pet insurance company, we strongly encourage all pet owner’s to purchase medical insurance for your pet. Pet insurance allows many people to pursue a level of medical care they would not otherwise be financially capable of. Two insurance companies; Pet Plan and Nationwide Whole Pet and Wellness have been highly recommended by our clients due to ease in submitting claims and swift reimbursement. Here are a few items to consider when selecting a pet insurance provider. Microchips have helped reunite thousands of pets with their families. We offer Home Again, the most widely used universal microchip available, to increase the chance of a swift reunion in the event your pet should become lost. For more information, please visit Home Again. Call to schedule their annual or bi-annual Preventative Exam.